In honor of Rev. 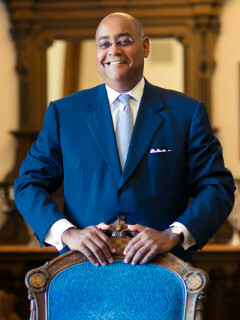 Dr. Martin Luther King, Jr., and as a part of his annual birthday celebration, the Rothko Chapel is hosting a lecture and conversation about the power of symbols in society with monument artist Ed Dwight, Harris County Commissioner Rodney Ellis, and Texas Southern University art historian and curator Alvia Wardlaw, moderated by ABC13’s news anchor Melanie Lawson. Dwight will share his journey from Air Force test pilot to the first African American astronaut candidate in the U.S. to prolific public artist. Dwight’s largest memorial to date is the Texas African American History Memorial recently installed on the State Capitol Grounds in Austin, and dedicated to the Emancipation of the Slaves on Juneteenth Day. He has also created a life-size sculpture of Rev. Dr. King installed in Houston’s Hermann Park.